Public staged readings to be held at the Simons Center on Wednesday, November 18, 2015. 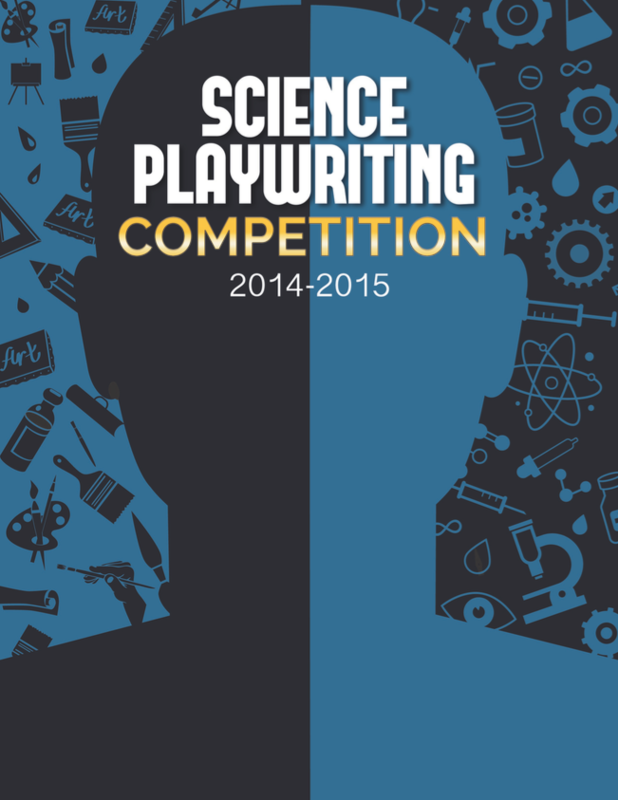 The SBU Science Playwriting Competition is thrilled to announce this year’s winners. Students, staff, faculty, and members of the general public contributed 10-minute plays with strong components of science and theatricality. The First Prize of $500 goes to Moira Chas, an associate professor of Mathematics at Stony Brook University, for her play “The Mathematical Visions of Alicia”. The Second Prize of $200 goes to Michael Shodell, previously an undergraduate at Stony Brook in mathematics, for his play “A Number of Things”; and Third Prize of $100 goes to Colin West, a Ph.D. Candidate at the Yang Institute for Theoretical Physics at Stony Brook University, for his play “Counting Sheep”. The plays that have received honorable mention are “Entropy” by Paige Borak, a senior Theatre Arts and Psychology major, and “A Planet is Born” by Hillary Bhaskaran, a freelance writer from souther California. Selecting winners in this year’s competition was difficult because of the high quality of many of the entries. This year is the third time the competition has been held. The objective of this competition is to close the gap between the sciences and the humanities. Science plays are an excellent tool for explaining difficult concepts to the general public, and these same concepts may provide out-of-the-box inspiration to writers. Stony Brook has always led the way in finding new and interesting channels for the dissemination of scientific knowledge. This competition provides an outlet for scientists and playwrights to go beyond the bounds of their normal ways of thinking, spark their imagination, and synthesize a new experience for all. Both the first and second place play take their inspiration from the lives of real people. Chas’s play “The Mathematical Visions of Alicia” was inspired by the life and work of Alicia Boole Stott, a mathematician remembered for her contributions to geometry and for coining the word polytope. “A Number of Things” by Shodell also borrows from history, from the life of Lewis Fry Richardson, who pioneered modern mathematical techniques of weather forecasting and also tried to use similar techniques to predict and prevent wars. Colin West’s “Counting Sheep” in contrast is set so far back in the past, it is difficult to know whether it happened or not; it is a refreshing look at what, exactly, it means to count something. A public staged reading of the winning entries will be performed on November 18, 2015 in the Simons Center Auditorium. For more information please email: scienceplays@scgp.stonybrook.edu. This competition was made possible by the generous support of the Simons Center, the C. N. Yang Institute for Theoretical Physics, and the SBU Department of Theatre Arts. The Competition’s awards committee includes Professors Christopher Herzog (YITP), George Sterman (YITP) and Steve Marsh (Theatre Arts).